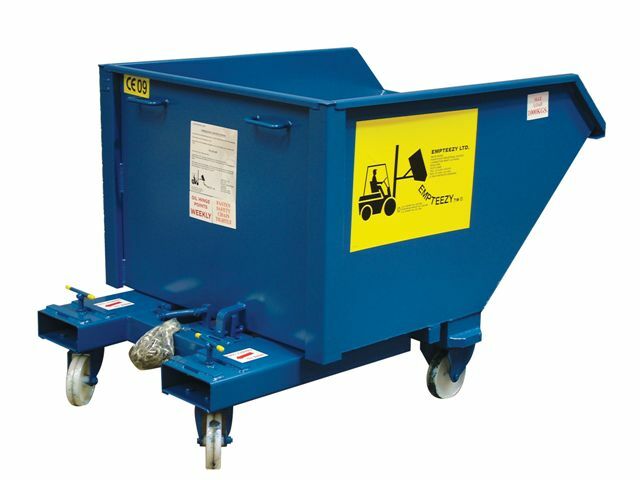 Manufactured from 3mm steel plate with oil tight welds the skip has a dampened tipping action, which is controlled from the safety of the cab (no wires to pull no climbing on the mast of the forklift truck). It automatic releases by lowering onto edge of skip and re-locks by lowering again after the load has been tipped. 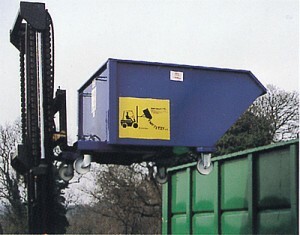 The unit comes complete with safety securing chains. 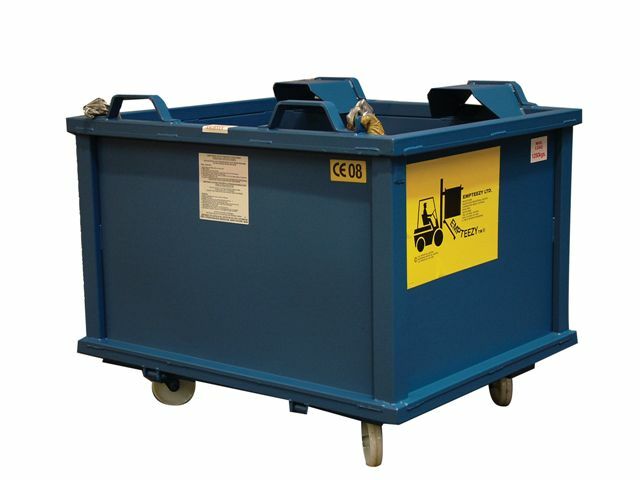 Manufactured from 3mm steel plate with oil tight welds the skip has a dampened tipping action, which is controlled from the safety of the cab (no wires to pull no climbing on the mast of the forklift truck). It automatic releases by lowering onto edge of skip and re-locks by lowering again after the load has been tipped. The unit comes complete with 2 fixed, 2 swivel nylon castors and safety securing chain. Manufactured with 2mm steel plate sides and a 3mm steel plate base this unit is not only robust, but extremely practical too. 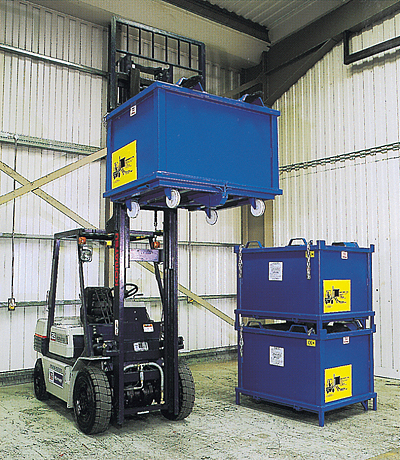 It can be moved by hand pallet truck, or of course by forklift truck, it is totally automatic, no wires, no climbing, just lower onto the edge of a skip to open and re-lower after dumping to close. The unit comes complete with safety securing chain.